Download or order the 2 pager! Canada has signed the UN Convention on the Rights of the Child, but the rights of children who are not Canadian citizens are not always respected in Canada. Detention, human trafficking, statelessness, family separation, and deportation are some of the areas where Canada seriously fails to respect and take care of non-citizen children and youth. The UN will soon examine if Canada is respecting the UN Convention on the Rights of the Child. This is a great opportunity for a national campaign! Canada give full consideration to the best interests of children affected in any immigration decision, including the decision to deport. In Canada, children are routintely held in immigration detention centres, even though the law says detention should be a last resort. In 2003, the UN recommended that Canada adopt a national policy to care for children separated from both their parents who are seeking refugee status in Canada. Refugee children are very vulnerable – when they don’t have a parent to look after them, the government must step in. In 2011, there is still no national policy. Children often wait years in dangerous situations before they are allowed to travel to Canada to be reunited with their families. The longest wait times are for children in Africa. Trafficking happens in Canada. Canadian law does not protect trafficked persons, including children. Detained and deported, they are sometimes treated more as criminals than as victims of a crime. In 2009, Canada changed its laws to limit Canadian citizenship to the first generation born outside Canada to Canadian parents. This means that some children of Canadian citizens are born stateless. A person is "stateless" if no country considers them a citizen. Children are sometimes deported from Canada without attention being paid to the impact on their lives. This injustice has to stop. Canada must respect the rights of ALL children. 1) What’s the UN Convention on the Rights of the Child? The UN (United Nations) Convention on the Rights of the Child is an international human rights treaty that defines the rights of children – any person under the age of 18, unless a country’s law defines children differently. Canada has signed the UN Convention on the Rights of the Child. This Convention has been signed by more countries than any other international human rights treaty. When the Canadian government ratified the Convention, they agreed to take “all appropriate legislative, administrative, and other measures” to implement it. The Canadian government also has to report periodically to the United Nations (UN) on its progress in implementing the Convention. The UN reviews whether Canada is living up to the Convention and makes recommendations to Canada. This puts pressure on governments to respect young people’s rights. Canada submitted its last report in November 2009. The UN will soon examine if Canada is respecting its obligations under the UN Convention on the Rights of the Child. This is a great opportunity for a national campaign! 3) How is this Convention relevant to newcomer youth? 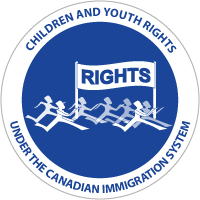 Although Canada has signed the Convention, the rights of children who are not Canadian citizens are not always respected in Canada.